LG Elections: Time To Send Signals? Local Government (LG) bodies in Sri Lanka are one of the cornerstones of public administration and structure of the state. There are 341 local bodies including municipal councils, urban councils and pradeshiya sbhas (regional councils). Although local government bodies are primarily responsible for community level operations, they provide extremely critical public services including but not limited to garbage management and maintenance of local roads, markets, etc. At the national level, one of the primary utilities of LGs is that elections to these bodies often help understand pulse of the people. These elections often indicate or rather signal political preferences of the people. This aspect gained added significance in the backdrop of the elimination of by-elections with the introduction of the proportional representation system in 1978. Terms of many local bodies started to expire since 2012 and all councils ended their terms in 2015. Administration of the expired bodies were placed under the control of special commissioners appointed by the central government. There has been a delay of at least two years to conduct these elections, which in a way, dented the democratic credentials of the government in power. The Sri Lanka Freedom Party (SLFP) – United National Party (UNP) coalition came to power on slogans of good governance and democracy. Hence, it was expected to uphold democratic values. Delaying the LG elections was obviously undemocratic. Now the elections have been scheduled to be held on February 10, 2018. Critics pointed out that the government was purposefully delaying the election due to the fear that it might pave the way for former president Mahinda Rajapaksa to make a comeback as a non-SLFP force. They had a point. Rajapaksa has already formed his own party called the Sri Lanka Podujana Peramuna (SLPP), and has appointed a proxy, G.L.Peiris, as its chairman. It is not easy to predict the election results of councils located in the South. The SLFP and/or the United People’s Freedom Alliance (UPFA) headed by President Sirisena, the UNP headed by Prime Minister Wickremesinghe, and the SLPP are the leading contenders in the South. This author returned to the United States after an extended stay in Sri Lanka. The author could feel widespread dissatisfaction about the government in the South. General complaints revolve around for example, exorbitant cost of living (symbolized often by the price of coconut), lack of development activities, and alleged corruption. The bond scam, which involved high ranking public sectors officials appointed by the government and ministers, has seriously undermined credibility of the government. Mahinda Rajapaksa and the SLPP have effectively used the bond scam issue as a propaganda tool. Many seem to believe the version offered by the Joint Opposition. Therefore, one could assume that there will be a dent in the votes garnered by the Sirisena faction of the SLFP and the UNP in the general election of 2015. Meanwhile, many still remember the excesses, especially the alleged corruption, of the Rajapaksa administration. 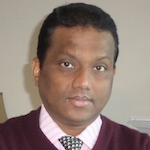 Nevertheless, this author will not be surprised if the SLFP and the UNP win urban areas and regions with considerable minority concentration and councils with mostly Sinhala-Buddhist voters go to the SLPP. Either way, the South will use the election to send political signals. The group headed by Rajapakasa wining majority of the councils in the South would have serious ramifications in terms of future political trends in the country. The story of the North or the Tamil areas is different. Voters in these areas hardly use this type of elections to send political signals especially to their own political parties. For a long time, Tamil voters in the North-East have adopted, what could be called the one party-one leader policy. No matter what, they generally stick with their main party. Different parties have had this honor in different periods. Now, it is the Tamil National Alliance (TNA). Therefore, the North most probably will vote for the TNA. But, does TNA deserve the Tamil vote in 2018? In my view the answer is no. There are three specific reasons why the Tamils should not vote for the TNA in the February election. First and foremost, the TNA, as the main political party representing the Tamil people in parliament has evolved into an utter disappointment, leading to widespread dissatisfaction among the Tamil people. During the war, the LTTE controlled all aspects of Tamils politics. With the end of the war, serving and protecting Tamil interest became the primary responsibility of the TNA. As of today, the TNA has nothing to show as an achievement. During Rajapaksa rule threats and intimidation were used as excuses. In 2015, the TNA played a major role in bringing the incumbent government to power. Yet, could not achieve anything substantial primarily because leading members of the party view themselves and operate as allies of the government. Some have turned into apologists of the government. Sampanthan in a recent interview to The Hindu stated that he expects the constitutional reform process to “move forward rapidly” after the local government elections in February. The truth is that he really does not know the possible direction of the almost nonexistent constitutional reform process because it depends largely on the nature of the election results. The constitutional reform process will be curtailed if Rajapaksa wins more councils in the South. Ineffectiveness and lack of strategic thinking are other reasons for the sluggishness. For example, the party could not effectively control and guide the only provincial council it won in 2013; the Northern Provincial Council (NPC). Recently, Sambanthan himself criticized his own party in the NPC saying that the council could have done better. The TNA led Northern provincial council was a failure as infightings, action less nationalist rhetoric, lack of administrative capacity, and disinclination to constructively engage outside forces have dominated the agenda. At the same time, one cannot underestimate the role the central government played in undermining the NPC. Even as the main opposition party in parliament, the TNA has failed the nation. It does not forcefully raise important national issues in and outside of parliament and mostly votes with the government. Ideally, the party should give up this position and go back to representing the Tamil people. Hence, the Tamil people have a responsibility to remind the TNA that it is not doing its job. The local government election is the right time to send this signal. This is the second reason why the Tamils should vote for alternative political parties in this election. Third, currently, the TNA looks extremely feeble and fragmented. It may become a party without an effective leadership in the near future. If, the TNA collapses, the Tamils need another party to take on the mantle. Right now, this alternative does not exist. The local government election is an excellent opportunity to elect an alternative party to prove itself at the very grassroots level. Therefore, from a strategic point of view, the Tamils should be voting for parties other than the TNA in the February election. Would the Tamils do it? This is doubtful. There are two specific reasons for why the Tamils would most probably vote for the TNA in this election. One, many people habitually vote for the leading Tamil party in any election. Despite the disappointment, they would vote for the TNA. Two, many voters feel that there is no alternative even when several Tamil parties are in the fray. Hence, they will also vote for the TNA. Perhaps, it is mainly the second reason that would allow the TNA to emerge victorious in February. For 70 years we have not learned anything. These politicians have been fooling us . Vote for JVP to see any real change. Why should people be fooled by these political looters. This will send out a clear signal loud and clear WE DONT WANT CRIMINALS NOMINATED by any political party! Support the political parties trying to field clean candidates. Remember How you vote will determine the quality of candidates nominated by all parties in future elections! It seems some parties might have given nominations to underworld thugs in this elections so show your disapproval with your vote. What about all the citizens who voted for this Government expecting them to take action against the Rajapaksas Criminal network what signals should they send this Government!? What options have the voters got in a situation like this!? Dr. S.I Keethaponeathan: You said ” It is not easy to predict the election results of Councils in the South”. Yes, for a person like you – a “visitor”. But the voters have a good choice, provided they are “Intelligent” and “Informed”. This time all the “Rouges”; “Criminals”; “Thugs”; “Drug Dealers” “Robbers” are given leadership by the Leaders of the three main parties viz. UNP; SLFP; and SLPP. The only party that stands out is JVP that is not so far subjected to question on any of the above mentioned criminalities that have plagued the country. The other factor is the system of voting recently introduced for the first time, in that, the Ballot paper will have the name of the political party and its symbol against each of which there will be a blank “square” to mark a cross. That is why in the campaign the voter is fed with all the past and present performance records of the Leaders of the respective parties. This could bring a big dent from that of the general trend of “Person Worship” and bring a change. It looks working in the South. “Provided they are “Intelligent and Informed”. Looking at Sri Lanka’s political history: what do you think? The Tamils in the NEP have been let down both SLFP and UNP controlled coalitions. This time Tamils should not vote for either side and lodge their protest by staying away. Despite Sampanthan and the TNA making available to the Yahapalanaya regime the benefits of the Tamil bloc vote, the Sinhala side continues to give them step-mother treatment. A few miles of roads, a few bridges repaired, some electricity here and there is not developing the Tamil areas in all seriousness. The Sinhala South – green, blue or red, have no intention to raise the Tamil living standards or quality of life to the level of the developed South. In the manner they used force in the funeral of the Buddhist priest in the heart of Jaffna town recently is a sign in the Sinhala mind – more of the priests and the army – Tamils are a subject and 2nd class race and must be treated as such. What more – despite all the noise, seized land has not been released at the pace and quantum promised before the 2015 Gen-Elections. Converting as much Tamil land into Sinhala in the NEP continues both openly and covertly. It is time the Tamil side cultivate the Chinese. They (Chinese) will be the king-makers within the next few decades – thanks to the Rajapakses as well Sirisena-Ranil who have blatantly sold the family silver. Where is the Buddhist Sinhala outrage??? Where is the JVP??? Where is Gandassara and his Balu Sena??? It is ironical the Sinhalese stole Tamil land only for the Chinese to gain this for their ambitious world-conquering BRI. The politically savvy Chinese will give a better deal to the Tamils. It will not be long before the Chinese take over the throat-cutting Pakistan, who have been rejected by that mad man Trump. This entire region may become a battle field – like the earlier Koreas and Vietnam – soon. Not just the JVP The United Progressives Alliance lead by Mano Ganesan seems to be an interesting multiethnic option as well. “The Joint Opposition and the Sri Lanka Podujana Peramuna, led by former President Mahinda Rajapaksa, is now at the centre of a fresh controversy over sexual bribes allegations. Madusha Ramasinghe, an actress who sought nomination from the Podujana Peramuna, alleged that some stalwarts of the party asked for sexual bribes from her room consider for nominations. Ramasinghe held a protest in front of the Elections Department yesterday urging the Chairman of the Elections Commissions to intervene in the matter and prevent political parties from asking for sexual bribes from female candidates. This is only LG and it raises bigger questions as under Rajapaksa we saw a few come straight from the silver screen to parliament. What price did they have to pay? The author has written this without getting down to the grassroots on the real trend at present and he is in for a surprise when the results are announced. He is an expert on conflict resolution no doubt but has failed to feel the pulse of the voters today. You know what, I am going to vote for the TNA (assuing they are running in my area) simply as a “F— You” to the mainstream political parties. If not, I’ll do the usual thing I do and cast an invalid vote. Probably write “F— all of you” on the ballot sheet as well. Yes, I may vote JVP. That will be to send a signal to My3 whose promised “Winds of Change” haven’t blown strongly enough. This time a JVP vote is one that is meant to send a message. Many millions, I hope, will do so. If rajapaksas modern slfp come to power again the srilankan economy and business will come to a victorius trend. The unp people like jr premadasa does not know any thing about this huge liberal economy which was created by modern slfp. We cant suffer any more under innocent and powerless unp with their poor economic management. Burt: Thanks for your attention and the question. At present the voter population has been distinctly “Divided” by the “CROOKED POLITICIANS” into camps of “Green”; “Blue”; “Red” etc. I find there is a new trend of “Deviation” especially among the “YOUNG” voters enrolled into the voting register. If you look at closely the attendance at rallies held by various political parties, you will notice that “traditional” loyalists of “Parties” and “Persons” are the most. As I have been viewing all the time to say that there must be a “Movement” by the “Intelligent and Acceptable” community in various sectors of the country to DISH OUT information based on “True Facts”, the YOUNG voter could be made a vital participant and in turn to make a change in the minds of that class of “Traditionalists” of Green; Blue; Red etc. During this Local Government election such an organization named “Inception of Change – “Erambuma” has come up with the slogan “Village Without Corruption”. Presently they are conducting “Forum Sessions” in various parts of the country and the response looks encouraging. If this movements expands, I think, my answer to your question is a YES. The signal is: Address signals sent from 1948. Last year on July 03, the army released Mailaddy fishing harbour and 54 acres of land after a long period of 27years for resettlement. A total of 555 families were able to resettle. According to the Ministry of Resettlement, the armed forces have so far released over 70,000 acres of land in the North. Around 4,700 acres in Jaffna peninsula are yet to be released. In 2015, a total 818 acres of land at Sampur given on 99 years lease to Gateway Industries Ltd, a crony company of Mahinda Rajapaksa, was released to the owners after a court battle. The Navy shifted its camp at Sampur covering 237 acres (617 families) to a different location. The writer must realise most of these problems are due to the bloody war that lasted 26 years. The Finance Minister Mangala Samaraweera’s first ever budget has addressed key issues of post-war ethnic reconciliation by allocating approximately US$ 63 million for a variety of socially relevant projects in the war-torn Northern Province. To Housing alone Rs. 3,000 million to construct 50, 0000 houses have been allocated. Another 9 projects which when implemented will provide jobs and livelihood to victims of war. The credit must go to the TNA for securing all these funds. There are many pressing problems which the government has to address. But, it is untrue to say nothing has been done and no progress made. The TNA is using soft power to win back lost rights and property. It is a long and tedious process. The writer is insulting the intelligence of the Tamil people by claiming they have no other choice. This is a tongue in cheek statement. The people do have choices, but they stick to the TNA because of its strong, savvy and competent leadership. How does the writer, who at best is an armed chair critic USA, know that there is widespread dissatisfaction among the Tamils? Did he carry out a poll? It is no secret that the TNA is working with the government. It is engaged in co-operation and not confrontational politics. The TNA played a crucial role in unseating of the Mahinda Rajapaksa regime. Therefore, it will be foolish to fight the National Unity government. It is tactically unwise and politically suicidal for the TNA to fight the government. The constitutional process may be stalled if Rajapaksa’s Sri Lanka Peoples Front wins a majority of seats in the south. Should the TNA then abandon the constitutional process on its own volition in anticipation of the defeat of UNA and UPFA? That will be foolhardy to say the least. Politics is the Art of the Possible and not the Art of the Impossible! It is agreed that the NPC could have done better. The retired SC justice turned out to be something of a maverick politician. The TNA put up with him for sake of unity and for no other reason. It is not entirely true that the central government is undermining the NPC. It is true more could have been wrested from the centre, had the Chief Minister of NPC instead of indulging in empty rhetoric and rabble rousing offered co-operation. The writer suggests that the people should not vote for the TNA for strategic reason. What is that strategy? It is true the TNA could not achieve all what it wanted, but progress has been made in release of private lands held by the armed forces. It is only last week the army released 133.34 acres at Keppappulavu taking the total land released to 412 out of 482 acres! Not that there is no alternative thinking. The alter natives go far and wide and finally rest on the fact- Who is Great.? No wonder the people think only ‘GREAT ALL IN ONE’ was PRABA. Perhaps the Tamils have to wait till the selfishness end- Which will never, as the Tamils are born selfish, but not communal.